1 Wm. A. Pond & Co.
A metrical version of Lincoln's first Thanksgiving proclamation; music by William Augustus Muhlenberg. words by Dr. Muhlenberg ; music by J.W. Turner. words by Dr. Muhlenberg ; music by A.C. Gutterson. For voice and piano; refrain set for chorus (SATB) and piano. 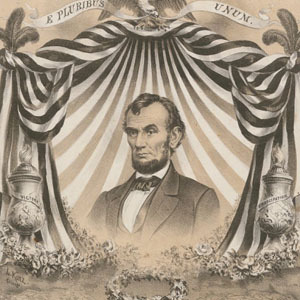 A metrical version of Lincoln's first Thanksgiving proclamation.